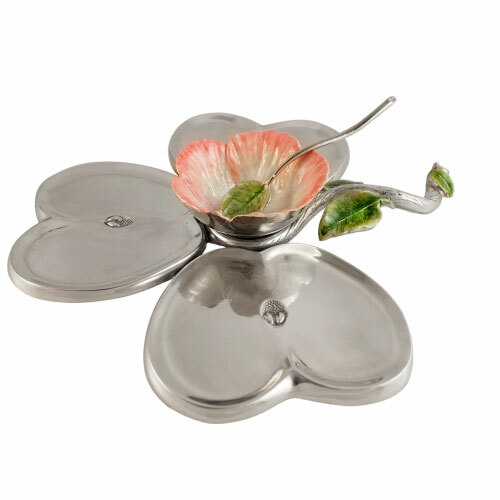 Apple Blossom Honey and Apple dish set. A unique Apple and honey theme to enhance your Rosh Hashanah table. Made of polished aluminum. Design by Marcella and staff. Made in New York City.